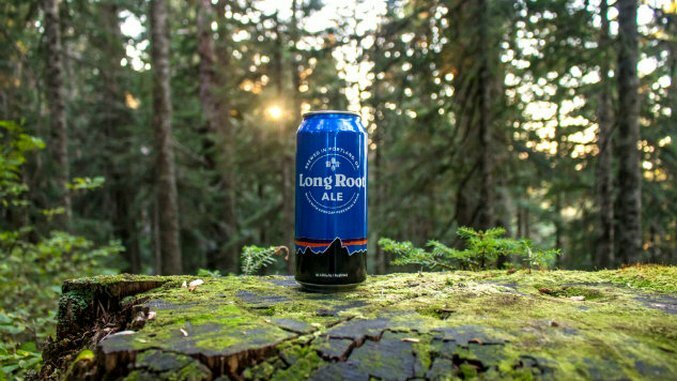 The first thing that you’ll probably notice about the new beer Long Root Ale is the can; it’s features the iconic label of apparel company Patagonia. That placement immediately begs the question: what is a company known for its clothes, puffy jackets and raingear doing making beer? At a first glance, one might think that it has to do with the brand’s outdoor ethos; dirtbag climbers sure are a fan of the six pack, and a beer on the river is better than any cosmopolitan happy hour. But in fact, the reasons for Long Root Ale run much deeper. This beer isn’t just for beer enthusiasts; it’s a beer that’s made for making the planet better. That may sound like a bold statement — and perhaps it is — but in the last few years, Patagonia has been taking the ethic that it has put into clothing and investing it in food. With its food brand, Patagonia Provisions, there is a serious push into making smart investments that help to better the food system. One of those investments is The Land Institute in Salina, Kansas, an organization devoted to breeding perennial grain and seed crops as a part of a larger approach to regenerative organic agriculture. One of those grains is Kernza. The Land Institute has been experimenting with Thinopyrum intermedium, a grass species related to wheat, since 1983. Whereas most grains are annuals, and therefore require tilling, plowing, and replanting every year, this one is a perennial. With no need for replanting, it’s good for both the economics of farmers as well as the environment. Not only does it not need to be replanted, but without a need for tilling, growing it also helps to reduce soil erosion. The Land Institute chose to trademark this perennial grain Kernza. Fast forward to a few years later, when Patagonia knew that they wanted to help advocate for Kernza and decided that an ideal way to do it might just be through beer. "Beer is one of those things that a wide range of people consume, all around this world," says Birgit Cameron, Patagonia Provisions Senior Director. "Beer is a great product to help spread the message of organic regenerative agriculture." Partnering with Portland, Oregon’s Hopworks Brewery they decided to do just that, developing the Long Root Ale, a nod to the extensive root system that Kernza is known for, and which is responsible for not only pulling carbon dioxide out of the atmosphere and storing it in the soil, but also uses far less water than traditional wheat crops. In the eyes of a brewer, this makes for the ultimate in grain-to-glass beer. "Our goal at Hopworks is to make world-class beer as sustainably as possible," says Hopworks Founder and Brewmaster, Christian Ettinger. "We do this through local, organic, and Salmon-Safe sourcing of ingredients. Kernza offers numerous sustainable benefits, and it’s never been used in beer, so this was fun for the brewery." As a new grain, Hopworks had to do some experimenting to come up with the final pale ale recipe. "We created about five test batches, honing in the recipe on our twenty barrel brewing system over the course of six months. These experiments were tapped at our pubs under a different name and our patrons were big fans of the beer," says Ettinger. "Kernza is a smaller grain than we normally work with so we had to streamline a new process for milling it. In each new batch we experimented with different percentages of Kernza, different types of hops, and varying quantities of hops." It’s thanks to Patagonia Provisions that Kernza can even be used in the beer at all; the company helped to get the grain classified under the U.S. Food and Drug Administration (FDA) as "Generally Recognized As Safe; regulations, contributing financially to ensure that the grain could be grown for human consumption. That’s an investment that Patagonia Provisions sees not just for itself as a company, but for others working in the food industry and wanting to bring healthier products — both for humans and for the environment — to the market. "Without GRAS status, Kernza would be considered a cover crop and not appropriate for food consumption," says Cameron. "With Patagonia Provisions’ work, the hope is that others will become interested in growing and using Kernza so it will become more readily available in a variety of products. In fact, many chefs around the country have expressed interest in using Kernza and General Mills is interested as well." As Cameron points out, Kernza is starting to spread around the country, and it’s thanks to people not only growing it, but those incorporating it into foods. The Perennial in San Francisco has developed a bread that’s made with 40 percent of the grain and 60 percent wheat flour. In Minneapolis, the University of Minnesota grows a plot of Kernza, and a nearby cafe uses it to make tortillas and pancakes. 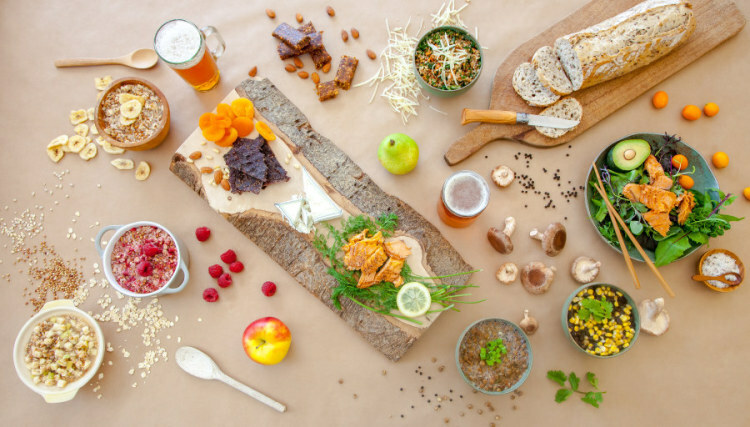 In that sense, the new Patagonia Provisions beer is yet another culinary step in ensuring that what we eat and drink has a positive impact on our environment, and contributes to a more sustainable path forward. Anna Brones is the author of The Culinary Cyclist and Fika: The Art of the Swedish Coffee Break, the founder of the print quarterly Comestible and runs Foodie Underground. Wherever she is in the world, she can often be found riding a bicycle in search of excellent coffee.